– In Line NOx Pollution Filter for use with domestic and commercial MVHR Systems. – Filters air volumes from as little as 10l/s and upwards. 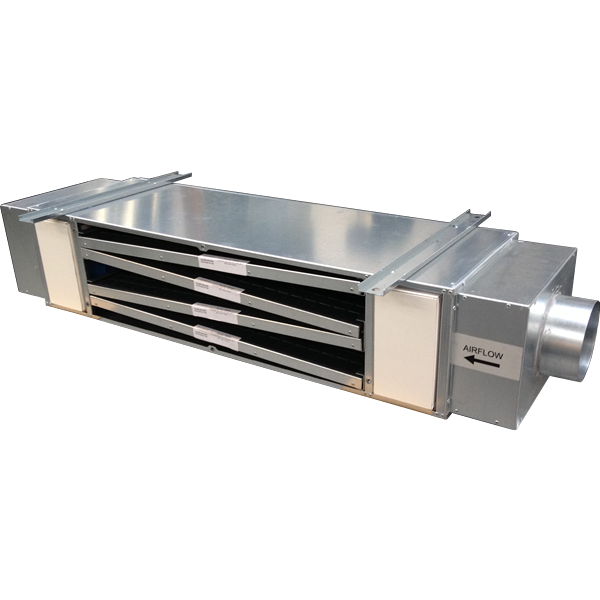 The Indoor Air Quality Filtration System combines particulate and gas filtration to remove pollutants prior to the air entering residences and commercial buildings through mechanical ventilation and heat recovery systems. The Indoor Air Quality Filtration System can house up to two particulate filters. 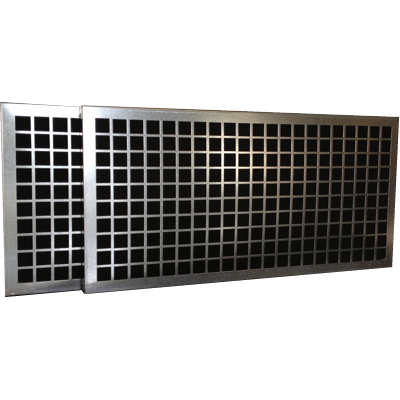 Panel filters of Grade G4 to EN779 having an arrestance above 90% make it suitable for the removal of PM10 Particulates. An additional particulate filter of Grade F7 to EN779 can be included to further reduce smaller particles including PM2.5. 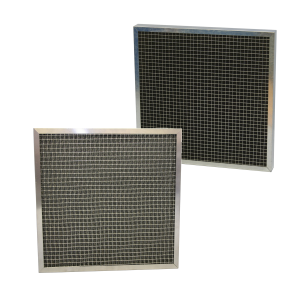 The Airclean Type 1 Gas Filters used in the Indoor Air Quality Filtration System are designed to remove pollutant gases at the rated air flow of the filtration system. A specially formulated activated carbon chemical mix, acts upon pollutant gases common in dirty city / town air, reducing them below guidelines set by current legislation. Testing carried out under typical operational circumstances have shown that the Indoor Air Quality Filtration System using Type 1 Gas Filters will filter Nitrogen Dioxide concentrations to below EU Directive limits of 40μg/m3 when challenged with concentration levels up to 200μg/m3. Peak reduction efficiencies of Nitrogen Dioxide were measured at 87%. When the Indoor Air Quality Filtration System is used in conjunction with mechanical ventilation systems, pollutants that include Nitrogen Dioxide can be reduced to below target levels. Using this combination can be accepted as a Nitrogen Dioxide mitigation solution to meet the requirements of local authority planners. 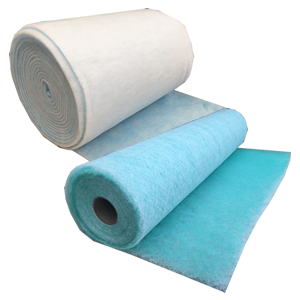 Where the standard Indoor Air Quality Filtration Systems do not fit the scope of your project speak to our technical design team who can produce a bespoke filtration system to meet your requirements. 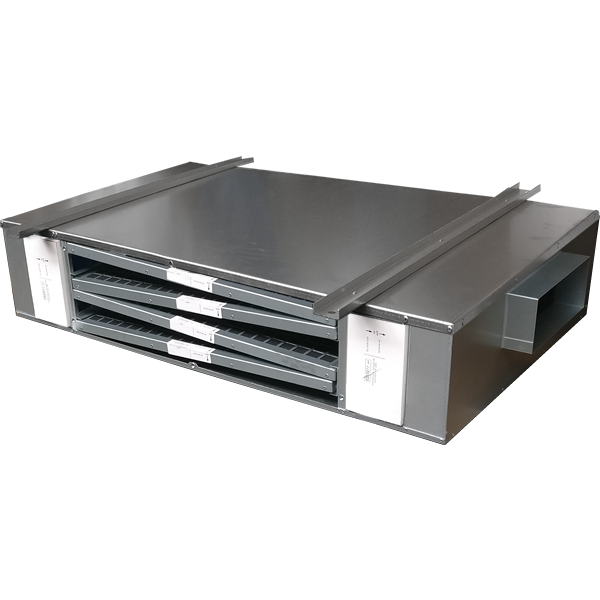 For schematics of high volume duty units contact technical.